• J.J. Hardy came off the disabled list last night after missing 17 games with a wrist injury, so as expected the Twins optioned Trevor Plouffe back to Triple-A. Plouffe made three starts at shortstop in Hardy's absence after Brendan Harris (eight starts) and Alexi Casilla (six) initially filled in, going 3-for-13 with a double and five strikeouts. It'll be interesting to see if Plouffe can resume his solid hitting at Triple-A or if he'll fall back into his underwhelming career norms. 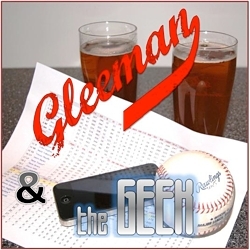 • Kyle Gibson turned in another excellent start at Double-A yesterday, tossing a seven-inning complete game while allowing just an unearned run. He induced 11 ground-ball outs, struck out four, and walked none to improve to 3-0 with a 0.84 ERA since a promotion to New Britain. Gibson is now 7-1 with a 1.53 ERA, .207 opponents' batting average, 3.5 ground balls per fly ball, and 60-to-14 strikeout-to-walk ratio in 64.2 innings between high Single-A and Double-A. • I'm not sure how long it'll be available online since the St. Paul Pioneer Press' website remains a disaster, but John Shipley wrote a lengthy article about Glen Perkins' struggles at Triple-A. Perkins is 0-6 with a 9.09 ERA in eight starts at Rochester, serving up seven long balls in 33.2 innings while opponents bat .359 off him. Setting aside his clash with the Twins regarding the service time aspect of his injuries, it sure seems like Perkins' shoulder must not be healthy. • Jose Morales is back playing again following offseason wrist surgery, going 13-for-41 (.317) with two doubles and six walks in 11 games at Rochester. So far he's splitting time between designated hitter and catcher because of his injury and Wilson Ramos' presence at Triple-A. Drew Butera made his seventh start Sunday and is now 4-for-25 (.160), so presumably once Morales looks like his old below-average self defensively the Twins will make the switch. • Ramos is just 5-for-39 (.128) since returning to Triple-A, making him 6-for-57 (.105) with 12 strikeouts versus one walk since collecting seven hits in his first two big-league games. He's batting just .160/.183/.302 overall in 25 games at Rochester, so it'll be a while before the folks clamoring for him to stick in the majors come out of the woodwork again. • Ron Gardenhire's son Toby Gardenhire is now Ramos' teammate at Rochester after being promoted to Triple-A despite hitting .225/.295/.250 at Double-A and .234/.298/.267 in 380 pro games. I've referred to Matt Tolbert as a poor man's Nick Punto, so I suppose that makes the defensively versatile and offensively inept junior Gardenhire a homeless man's Punto. I'll take a wild guess and say his father has dreams of him filling a utility role one day. • Minor-league outfielder and former 13th-round pick Michael Harrington was suspended 50 games after testing positive for a performance-enhancing substance. Taken in the 2008 draft after a four-year career at the College of Charleston, he was hitting just .145 in 24 games at high Single-A this season and has a .231/.302/.363 overall line in 194 pro games. • For some reason I watched a few A's games last week and twice saw Craig Breslow throw a scoreless inning. Breslow was a nice waiver-wire pickup for the Twins in 2008, posting a 2.89 ERA over 53 innings before they misguidedly cut him for Sean Henn in a "making moves just to make moves" decision I criticized at the time. Henn went 0-3 with a 7.15 ERA in 11.1 innings, while Breslow has a 2.57 ERA and 63-to-26 strikeout-to-walk ratio in 74 innings since leaving. • Randy Ruiz had a similarly strong run after being dropped by the Twins, batting .313 with 10 homers in 33 games for the Blue Jays last season, but played poorly and sporadically to begin this season before requesting his release to sign with a team in Japan. After over a decade of clobbering minor-league pitching to finally get his first chance in the majors at age 30, he likely finishes his big-league career with a .272/.332/.488 line in 238 plate appearances. • Jim Callis of Baseball America recently ranked the 20 best draft prospects since he joined the magazine in 1989, based strictly on their standing at the time of the draft. Stephen Strasburg tops the list and Joe Mauer is the final selection at No. 20, with two players the Twins passed on to select him in 2001 ranked No. 2 and No. 13. • Patrick Reusse of the Minneapolis Star Tribune has been agreeing with me a lot lately (or the other way around), this time about the silliness behind allowing the accumulation of a statistic determine bullpen usage. As he notes, because of "saves" managers regularly use their best reliever to protect a three-run lead and one of their worst relievers to protect a four-run lead. • Baseball-Reference.com recently added Wins Above Replacement (WAR) data to its amazing collection of statistics, and Mauer has the top three seasons by a catcher since 2000. • All beat writers work on their game stories while the game is still going on, and unfortunately for Kelly Thesier of MLB.com sometimes the rough draft makes its way online. 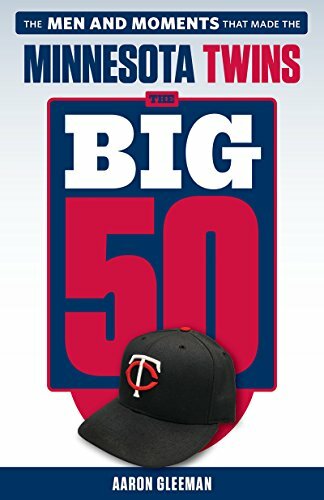 • It sounds like Rick Reed enjoyed his time in Minnesota about as much as Twins fans did. Geez, that bit about Gardehire’s son is just embarrassing. Well I enjoyed the 2002 season and an easy, smooth division title and fun playoffs, but apparently Reed wanted to go down with the ship in NY along with Mo Vaughn, Rey Ordonez, and the shell of Alomar. When Reed started giving up more home runs than AA pitchers would, that kind of marked the end of baseball for him, because he was awful. Maybe he just preferred Scores and Jamaican gangs? Unfortunately, the fact that the Twins think that a player hitting below .200 in AAA makes him a potential bench player is a scary thought. The fact that Drew Butera is a catcher makes this a bit more palatable, and perhaps explainable. He may hit like several people’s dead grandparents, however, he seems to be well equipped to handling the defensive duties of catching. This is a somewhat valuable skill. However, another defensively sound and versatile middle infielder that hits like the aforementioned deceased older generation? That’s not something we need more of. I sometimes suspect that if Gardy had his absolute wish granted that the entire lineup would be filled with Tolbert, Punto, Juan Castro, Toby Gardenhire, and their clones. A team made up entirely of players just like himself – back in his playing days. A scary thought, indeed. A team like that could hope to win maybe several dozen games over the course of a 162 game season. Perhaps. I shudder to think about how many starts a Punto-esque offspring (but as AG said, with 75% less offense – than Punto!) might get in place of a player that actually has something to contribute. I’ve referred to Matt Tolbert as a poor man’s Nick Punto, so I suppose that makes the defensively versatile and offensively inept junior Gardenhire a homeless man’s Punto. Or perhaps Toby is a poor man’s Matt Tolbert. Gibson has to be our #1 prospect at this point, right? I’d certainly rather see the twins keep him over Hicks if they were doing some sort of blockbuster deal. Toby is Gardy’s first son, Punto is his second and Tolbert is his third. Geez. Despite Breslow’s numbers, the A’s don’t seem to be giving him many meaningful innings. Apparently no one in MLB thinks he’s really that good. I think this is a perfect time to talk trade with the Rays. Hopefully we can package our top raw stuff prospect (Gibson) and a somewhat promising SS that has had a tough time at the plate (Hardy) for a former #1 over all that has had a hard time living up to the hype and needs a change of scenery (Tim Beckham). just curious, if Ben Revere and Kyle Gibson continue to play well, what are the odds either one makes it to AAA Rochester or maybe even a September call up to the Twins? What do people out there in Twins land think? Don’t know if Kyle Gibson will get a callup this year (probably not), but it sure is nice to have a starting pitcher on the way up who at least seems capable of approaching a 9.00 K/9 ratio. All we heard about from 2004 to 2008 was this gravy train of awesome starters coming through the system, but all of them are middle-of-the-rotation guys who pitch to contact. I am all for doing whatever it takes to avoid playing the Yankees if the Twins make the playoffs. Maybe that guy who whacked Nancy Kerrigan’s knee is available. a footnote to the “career” of randy ruiz: if anyone was watching the recent TWINKS/BLUE JAYS game, carried on MLB.TV, they could have seen ruiz pacing the BJ dugout with a 1B mitt and a ball. when, to no one’s surprise, he dropped the ball — in the dugout — a teammate helpfully picked it up for randy — who seemed grateful. hopefully, his JAPAN career will be as a DH.